Nigeria Mobile network providers have joined telemarketers, scammers, ex-lovers and annoying friends to become “a pain in the neck” to their customers. Making sure that our sleep is disturbed or at most drain our phone battery. Either you subscribe to the service or not, you are forced to receive at least 3 spontaneous SMS daily. You might have tried some applications to block those annoying SMS, but they still manage to dodge their way into your phone. I'm pretty sure that this is something you would like to stop from happening any longer, or isn’t it? 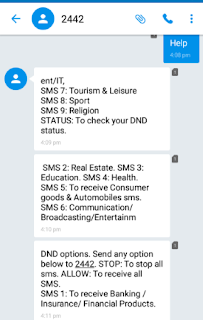 MTN and Etisalat Nigeria has introduced a new feature called Do-Not-Disturb (DND) list, which allows you to stop every spontaneous SMS or nonessential campaign messages. The step was taken after the Nigeria Communication Commission, NCC announced it will bang N5 million naira fine against telecommunications for harassing Nigerians with unwanted SMS and Calls. Now, you have the opportunity to opt-out of any spontaneous SMS, by using the Do-Not-Disturb (DND) list. Note that it is absolutely free of charge. Make sure you reply with the corresponding number from the list. Be expecting similar thing from other network providers in Nigeria, because they must adhere to the NCC rules if they don't want to pay N5 million naira fine. Thanks to NCC for doing their job properly. 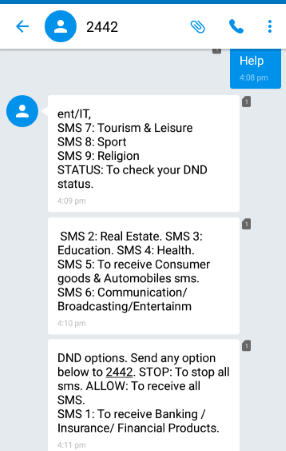 You have finished reading You Can Now Stop Annoying SMS and Calls on MTN & Etisalat With Do-Not-Disturb and many articles about Tech Gallery in our blog this, please read it. and url link of this article is https://littlebitjohnny.blogspot.com/2016/07/you-can-now-stop-annoying-sms-and-calls.html Hopefully discussion articles on provide more knowledge about the world of new tech gadgets.